This summertime heat is making us covet porcelain skin more than ever. But maintaining said flawless complexion isn't so easy (go figure). That's why we went to an expert to find out what we should be doing to keep up our skin clear as the temperature rises. Clyde Johnson, Director of Education and Events for Kiehl’s Since 1851, answers our questions about gives beauty advice on how to deal with the humid months ahead. What’s the most important skincare product to use during the summer months to keep our skin healthy? In truth, the most important skincare product to use during the summer, or any other month, is one that contains broad-spectrum sunscreen protection from both UVA and UVB rays to protect your skin from sun damage and prevent lines, wrinkles and the first signs of aging. 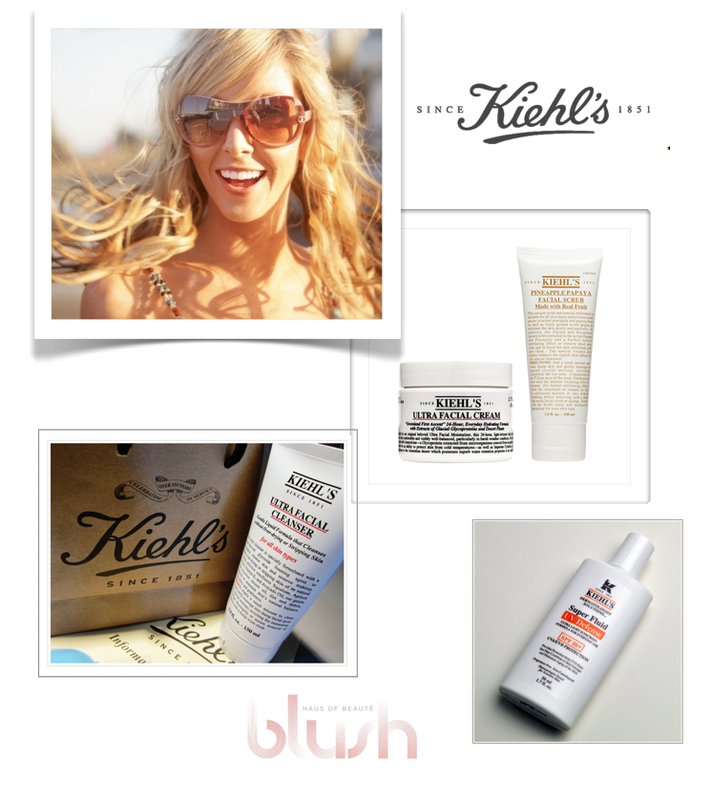 You should wear a sunscreen product, such as Kiehl’s Dermatologist Solutions Super Fluid UV Defense SPF 50+ 365 days a year. Hmm, let's say we have SPF-enhanced beauty products. Should be using that and sunscreen during the summertime? You should consistently approach your daily summertime skincare regimen with a product with a high SPF at the core of your routine. Most people don’t get the minimum daily protection needed from foundations or powders that claim to offer high SPF protection because of the small amount that they apply. Choose a super lightweight, yet powerful facial sunscreen that offers a high level of broad-spectrum sunscreen protection in a texture that will not interfere with your regular grooming and that you won't mind applying every day. And what about moisturizer? What makes one better for summer use? Each person’s skin is different, so a moisturizer that works on one person might not necessarily work on someone else. With moisturizer, as with any skincare product, it’s most important to find a formula that fits your particular skincare needs. In general, formulas that offer long-lasting skin hydration, such as Kiehl’s Ultra Facial Cream, are great for summertime use. Ultra Facial Cream melts right into the skin without making it the least bit oily. It is actually lighter than most lotion textures, and it's a Kiehl’s favorite for its 24-hour moisturizing benefits. Okay, SPF and moisturizer, check. What are the best products for protecting your lips from the sun? Your lips, like your face, should always stay protected from the sun. Always wear a lip balm with SPF protection. Look for formulas that contain soothing, healing ingredients, especially in the summer, because your lips will dry out and chap faster in the sun. With beach time at the top of our list, what is a great exfoliator for warmer months? Excess sun exposure can make skin tender and raw, so choose a gentle facial exfoliator that won’t strip the skin. One that can be used regularly during the summer months is Kiehl’s Pineapple Papaya Facial Scrub, which can be used up three times a week to keep skin glowing and smooth. It contains real fruit and gentle enzymes that break down the bonds that hold dull, dry skin on the surface. How can you prevent oily skin in the summer when it’s necessary to apply lotions and sunscreens? In general, if you’re using the correct cleanser and moisturizer for your skin, your moisture levels will remain even and balanced. If your skin is prone to more oil in the summer, a general guide for summer care would be: 1) gently cleanse twice daily with a cleanser that doesn’t strip the skin, 2) choose a moisturizer with a lighter texture, and 3) exfoliate regularly, at least 2-3 times per week.